ZOMBIE FIGHT CLUB: The Living Dead Have Lost Their Minds – Schlockmania! The current vogue for zombie films doesn’t show any signs of slowing down. Virtually anything with “Zombie” in the title can make it to market as long as it delivers a gaggle of flesh-eaters running amok. 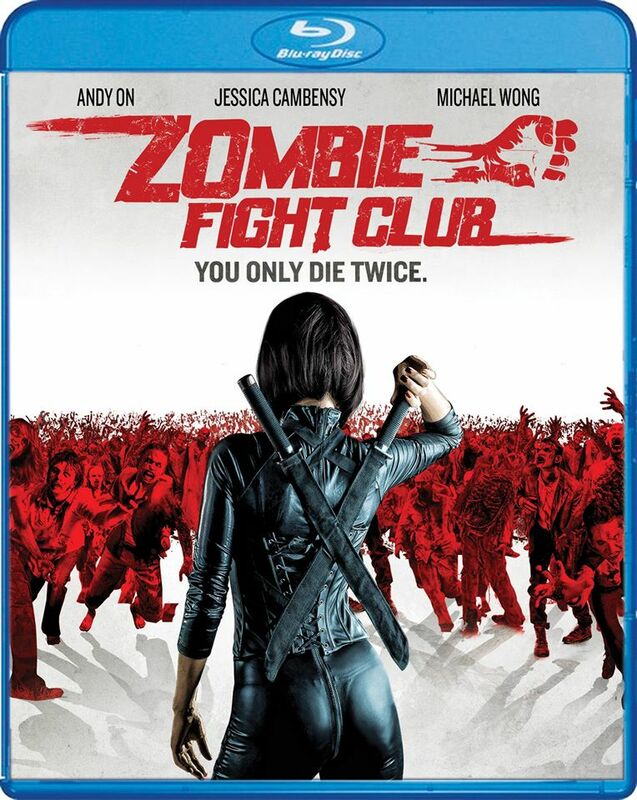 If you need proof, consider Zombie Fight Club. It’s a recent entry in this subgenre from Taiwan and one of the more daft and incoherent zombie films in recent memory. Zombie Fight Club begins in a tower block a la Shivers as it chronicles the outbreak of a zombie contagion. It all begins with some party kids who take some imported “bath salt” drugs and splits into a variety of plot threads as various tenants are caught unawares by the ever-growing zombie horde. This seems to be the film’s entire story for the first hour… until it abruptly shifts into the future via some awkward title cards. The last half hour focuses on the titular enterprise, which is run by psychotic ex-schoolteacher Wu Ming (Jack Kao). Party girl Jenny (Jessica C) and former cop Andy (Andy On) are among the unwilling humans who have to fight zombies at his behest. The result is a bunch of raggedly assembled setpieces in search of a plot and a consistent tone. It’s almost like the filmmakers dreamt up a bunch of scenes they’d like to see in a zombie flick over drinks, scribbled them down on a bar napkin and then began shooting a film using the scribbles on that napkin. The film frequently goes for bad taste humor – like a gangsta getting his manhood bitten off when his girl turns zombie – but such moments clash with bizarre stabs at drama, like a subplot about how Wu Ming turns psycho after a corrupt cop shoots his daughter. Simply put, there is no rhyme or reason to the plotting or characterizations, much less any sense of focus, and the sheer incoherence quickly becomes numbing. Director Joe Chien keeps the film moving forward at a fast clip but doesn’t show much inspiration when staging horror or action, making this a film that manages to make splatter and martial arts seem kind of ho-hum. Pile on an array of awful, sub-video game CGI effects (the explosions are particularly awful) and you have a film that is a chore to watch. Blu-Ray Notes: This title just received a nice blu-ray release from Scream Factory. The transfer does well by the film’s grungy look and offers both English and Mandarin soundtracks (with English subs for the latter), in both 5.1 and 2.0 lossless stereo mixes. Extras consist of a trailer and a “stunts” piece that is basically a three minute EPK with a brief look at the staging of the action.